It’s worth conceding that The Eleventh Hour was a rather wonderful attempt by Moffat to channel Davies’ season-opening episodes. 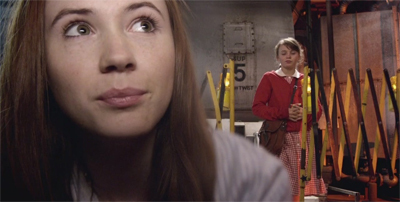 While the episode retained quite a few Moffat-esque touches, most obviously in its first fifteen minutes and the relationship between the Doctor and Amy, but it was very clearly fashioned as a whirl-wind run-around adventure in contemporary Great Britain, in the style of Rose or Smith & Jones or Partners in Crime. Moffat is very good at channelling that sort of Davies script. 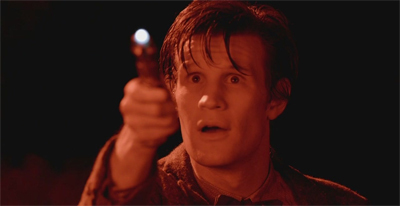 The Eleventh Hour is arguably the strongest season opener of the revived series, and one of the highlights of the entire Moffat era. Indeed, launching the run of episodes leading up to the fiftieth anniversary, Moffat opened the second half of the seventh season with The Bells of St. John, another episode that felt like an extended homage to the popular Davies era. Even the setting of the episode feels familiar. 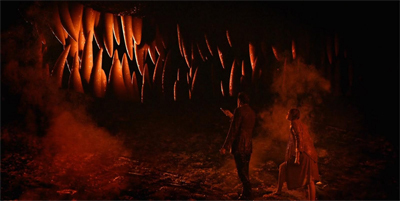 The Beast Below is technically set during the events of the classic serial The Ark in Space. “Twenty ninth century,” the Doctor boasts, “solar flares roast the earth, and the entire human race packs its bags and moves out till the weather improves.” Still, it could just as easily have been set in the era of The End of the World or Gridlock – the destruction of planet Earth and the move outwards into the cosmos. 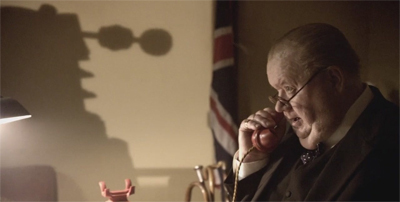 Thatcher seems to haunt Doctor Who. Neil Gaiman’s fiftieth anniversary novella pits the Eleventh Doctor against an alien disguised as Thatcher. In Tooth and Claw, the writer had the character make a snide aside about Thatcher before teaming up with Queen Victoria. In The Christmas Invasion, the collapse of Harriet Jones’ government was consciously designed to mirror the end of the Thatcher era, with the destruction of a retreating alien space ship intended to mirror a particularly controversial aspect of the Falklands War. The Beast Below is perhaps even more direct than any of Davies’ social commentaries, with the possible exception of The Long Game. The Beast Below aired about a month before the 2010 British General Elections, and so an episode about polling and voting and shared complicity can’t help but seem a little pointed. Naturally, when it come to crossing over Doctor Who and election coverage, media outlets like The Radio Times went with the safer option of “Vote Dalek” using the multi-coloured Daleks from Victory of the Daleks. A sting in the… tail? Still, the basic set-up can’t help but seem like a scathing critique of the way that elections generally work – allowing the individuals in the booth the option to either “protest” or to “forget.” That’s the way that politics work on Spaceship Britain. Every five years, people walk into the polling booths so that they can “forget” the horrors that have occurred and reaffirm the authority of the political over-class. The voting in The Beast Below has nothing to do with parties or policies. After all, the 2010 election led to a coalition between the Liberal Democrats and the Conservatives, so it’s never really about parties or policies. Instead, it’s about affirming and validating the system. It’s a process of walking into a booth and ticking a box, validating the decisions made by those entrusted with immeasurable power, making decisions that are too terrifying and too horrific for anybody to dwell on for an extended period of time. “But why would I choose to forget?” Amy demands, as if outraged at actions that she can’t remember taking. “Because everyone does,” Mandy explains. “Everyone chooses the Forget button.” In a way, Moffat seems to suggest, that is a very cynical view of party politics work in Great Britain. You make the decision to vote for the party you can’t remember screwing you over. It’s no coincidence that Moffat is evoking Andrew “bring down Thatcher” Cartmel on the eve of an election that the Conservatives were always going to win. Choice and freedom and responsibility and culpability. They are very big themes, and The Beast Below often feels like it has bitten off more than it can chew. Even grounded in the context of a pending election, The Beast Below occasionally feels a little too abstract and a little too far removed from the system it is trying to critique. While it’s intriguing and cleverly-structured, it remains somewhat disconnected. The world feels well-formed, but there’s no sense that it is inhabited by real people. The closest that The Beast Below comes is during the opening scene, set in a small school. Reflecting contemporary anxieties about the standards and approaches to education, it’s a classroom that is taught by robots. It’s no longer even a case of “one teach to every … kids.” Driven by quotas and targets and rote learning, the grades the children receive decide the paths that they will take – somewhat literally. “Protesters and citizens of limited value are fed to the beast,” Hawthorne explains, in the episode’s most succinct criticism of a capitalist results-orientated system, where society’s most vulnerable are used as nothing more than fuel. The Beast Below might have been a bit stronger had it focused on that angle, had it explored the interactions that exist between the people and this gigantic oppressive system. Instead, the people get lost in the shuffle. In a way, then, The Beast Below serves as a handy demonstration of the differences between Steven Moffat and Russell T. Davies. The Beast Below lacks the sort of human element that Davies seemed to inject into his scripts almost casually. Even Liz 10 seems more like a plot function and stock wise-cracking action hero (“basically, I rule!”) than a complex and multi-faceted character in her own right. While Moffat is weaker on character work, he does have advantages in other areas. Davies was never great on structure and over-arching consistency. The Tenth Doctor teams up with Queen Victoria after trashing Thatcher; the Tenth Doctor loves his potential replacement in The Next Doctor, but is terrified of dying in The End of Time; the Tenth Doctor is introduced as “no second chances” sort of man, only to spend a large volume of time begging villains not to show his hand. Moffat is much stronger with these elements. Indeed, The Beast Below sets a lot of the tone for the Moffat era, foreshadowing quite a lot about Moffat’s time of showrunner, and demonstrating just how clear his vision was. While Moffat’s first season retains the structure set down by Davies, The Beast Below makes it quite clear that the writer always had a vision for where he wanted to take Doctor Who. Most noticeably, we have a lot of the fantastical elements that would become a staple of the Moffat era at play here. The idea of storytelling and folklore is pushed to the fore – something that would bleed through into the rest of the Moffat era. (The Angels Take Manhattan is about the Doctor finding out he’s trapped in a book; even The Day of the Doctor features escapees from paintings.) The episode is book-ended by something of a grim nursery rhyme, sounding like something passed down from generation-to-generation. Amy’s monologue confirms that the Doctor is her “imaginary friend” returned after so many years. When Amy asks why they are leaving so quickly, and what the inhabitants of Spaceship Britain will make of their disappearance, the Doctor insists, “Oh, the songs they’ll write.” The Doctor himself, who was introduced as Amy’s imaginary friend becomes a song. He’s passed down, from generation to generation in one form or another, each form changing and evolving… and regenerating. This foreshadows the revelation in The Name of the Doctor, something hinted at in A Good Man Goes to War, that the title of “Doctor” is something that has to be earned, creating an unspoken link between the man and the word. There is a point where it is possible for the Doctor to not be the Doctor any longer, some point where he is no longer worthy of the title. The name is a promise, and the character is defined as one who has dedicated himself to keeping that promise. And Moffat reinforces the idea that the Doctor is unquestionably heroic. It’s a very conscious undercurrent of Moffat’s run – he’s just as willing to criticise and explore the character as Davies was, but there’s a very clear sense that the Doctor is never anything less than a heroic figure. In the wake of the Tenth Doctor’s moral failure in The Waters of Mars, it is worth repeating and stressing, and The Beast Below makes it quite explicit that the Doctor is not some would-be-genocidal tyrant. The resolution to the episode’s moral dilemma hinges on Amy figuring that out. “What if you were really old, and really kind and alone?” she ponders. “Your whole race dead. No future. What couldn’t you do then? If you were that old, and that kind, and the very last of your kind, you couldn’t just stand there and watch children cry.” It’s a little heavy-handed, but it feels like a conscious attempt by Moffat to establish his tone for the show. 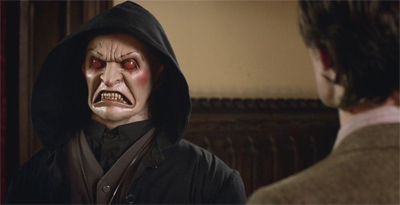 Villains would continue to criticise the Doctor throughout the Moffat era. While villains like the Silence and the Great Intelligence would offer justifications for their hatred of the Doctor, none of those critiques land quite as effectively as the Dalek Emperor’s condemnation of the Ninth Doctor in The Parting of the Ways or Harriet Jones’ rebuke of the Tenth Doctor in The Stolen Earth. The failures of the Eleventh Doctor are more personal and intimate than those of his predecessors. Moffat also makes a point to re-affirm that the Eleventh Doctor is good with children. 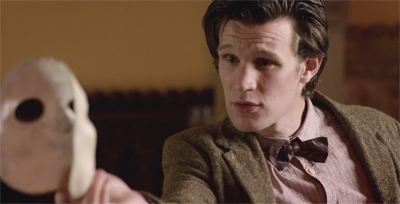 In The Eleventh Hour, he struck up a bond with Amy as a child. Here, it’s the sight of a child crying silently that stirs him to action. This would continue across the run. Even the prequel to The Bells of St. John has the Eleventh Doctor first encountering Clara as a young child. He also knows River since her childhood. While Davies liked to play up the romantic appeal of the Doctor, Moffat instead presents him as a decidedly older figure – even when played by Matt Smith. At the same time, there’s a sense that The Beast Below is intended as an attempt to calibrate Matt Smith’s Doctor, to get the tone right and finely tailor the gaps between this version of the character and the actor playing him. Davies did the same thing with New Earth, giving David Tennant a script involving body-swapping a wide range of emotions just to see where Tennant’s strengths lay as a performer. While The Beast Below doesn’t feature anything as blatant as body-swapping, it does feature a significant character arc for the Doctor, spanning a wide range of emotions and moods. 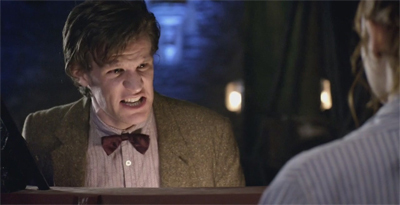 So we get to see the Eleventh Doctor happy, confused, sad, angry and awkward. Smith does quite a good job with the material, and he’s able to at least point Moffat in the strongest direction to push the character. The Beast Below underscores just how good Smith is with children, how wonderfully he plays absent-minded and how skilled he is at physical comedy. As such, The Beast Below is a success. Both Moffat and Smith come away with a much stronger understanding of how the Eleventh Doctor works, and the rest of the season really plays to that. Smith is reliably solid by Victory of the Daleks, which serves as the traditional “baptism by Dalek” plot for any actor in the lead role; but he has pretty much figured out his interpretation perfectly by the point we reach The Time of the Angels. The Beast Below is also about figuring out the companion and the companion’s role. While Amy faces the same sort of existential concerns that Rose Tyler grappled with in The End of the World, she gets over them rather quickly. “I’m in the future,” she remarks. “Like hundreds of years in the future. I’ve been dead for centuries.” The Doctor dead pans, “Oh, lovely. You’re a cheery one.” Amy seems to adapt to that rather quickly – no need for a phone call home here. Rather, given Moffat’s love of meta-fiction, her biggest problem is figuring out her role in the story. Quite pointedly, the Doctor assures her that her role is not to make big moral decisions that treat the him as a secondary concern. “You took it upon yourself to save me from that,” he warns her. “And that was wrong. You don’t ever decide what I need to know.” Having failed that particular companion aptitude test, the Doctor threatens to send her packing. She hasn’t earned the Doctor Who companion licence that every companion needs to have. So, The Beast Below is a tribute to Davies-era tributes to Andrew Cartmel; one that suffers from the fact that Moffat isn’t quite as skilled as Davies at populating a fantastical world with human characters in forty-five minutes. However, it is a nice attempt. The show’s subversive critique of the political process is endearing and charming. More than that, though, it offers proof that Moffat has a strong idea where he plans on taking the show.